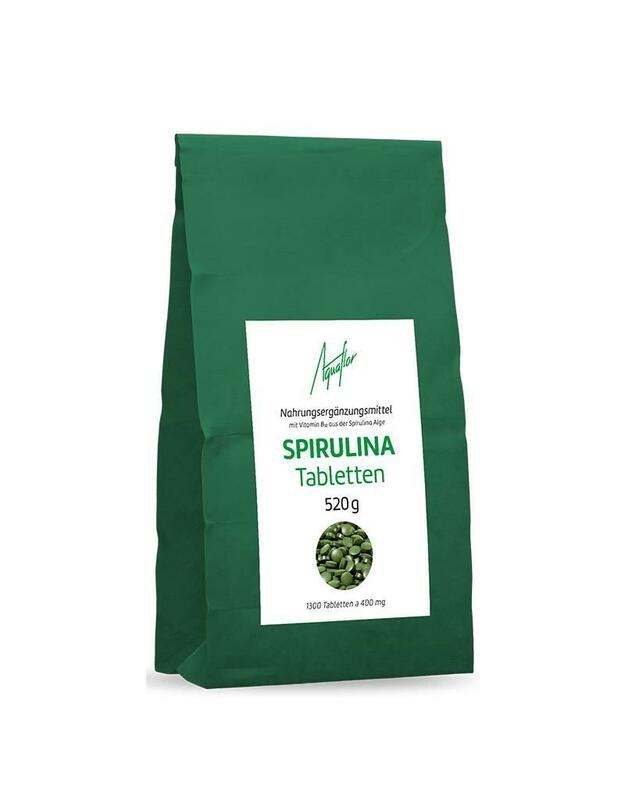 Spirulina platensis is a blue-green freshwater microalgae that grows in rivers, lakes and ponds and has existed on Earth for over 3 billion years. 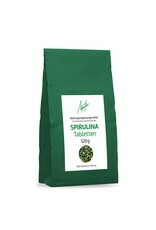 Spirulina algae consist of 60 % of easily digestible vegetable protein and are characterized by their natural content of many valuable nutrients and vital substances, including essential amino acids , polyunsaturated fatty acids such as gamma-linolenic acid, vitamins (B1, B2, B3, B6 and B12 and vitamins E), minerals and trace elements such as iron, magnesium, calcium, zinc, chromium and selenium. Usage: 5 tablets a day, after meals, swallow with a little liquid. The amount can be increased individually.